The news and blog page of Gig Gear. Find updates on the company, products and general helpful tips and tricks. Lighting designer and theatrical electrician Mitchell Jakubka wearing his Gig Gloves ONYX on the job. For freelance lighting designer and theatrical electrician Mitchell Jakubka, carrying his Gig Gloves around to his various theatre gigs around the Bay Area is a no-brainer. 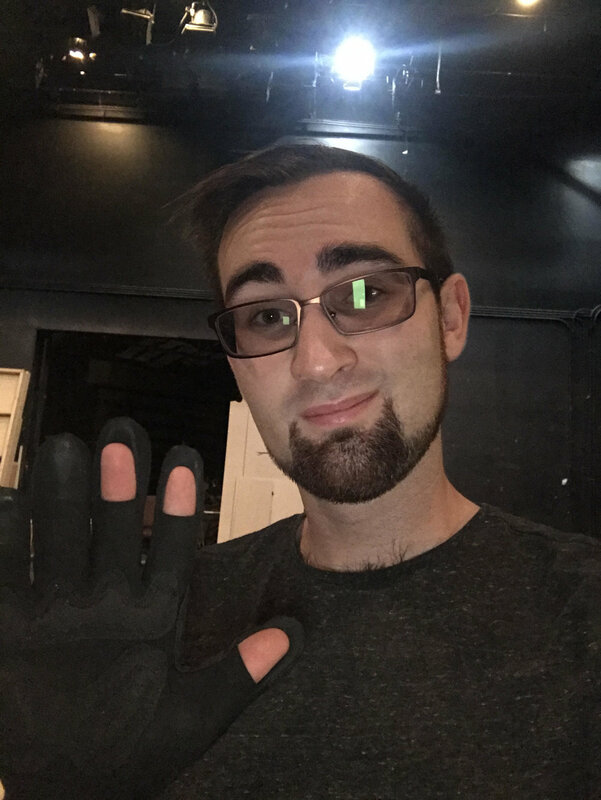 Jakubka said his Gig Gloves ONYX recently came in handy by helping him stay invisible during stage work for productions at the California Shakespeare Theater and the West Edge Opera. Also adding to the ease of his job is Gig Gloves’ removable fingertip feature. Wearing your Gig Gloves on the job like Mitchell? We want to know! Post a photo of yourself wearing your Gig Gloves, tag us and use the hashtag #GearingUpWith to be featured in a future post and receive a pair of FREE gloves!